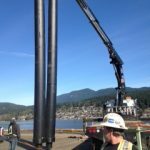 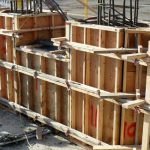 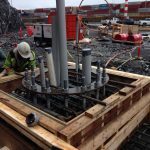 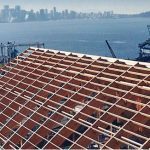 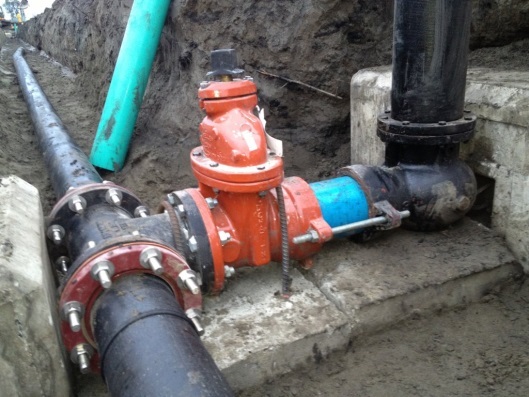 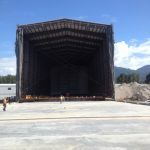 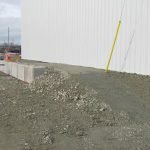 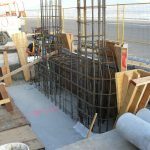 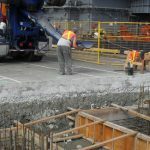 Kingston has worked on industrial installations in and around BC for over 50 years providing construction management expertise for many high profile projects. 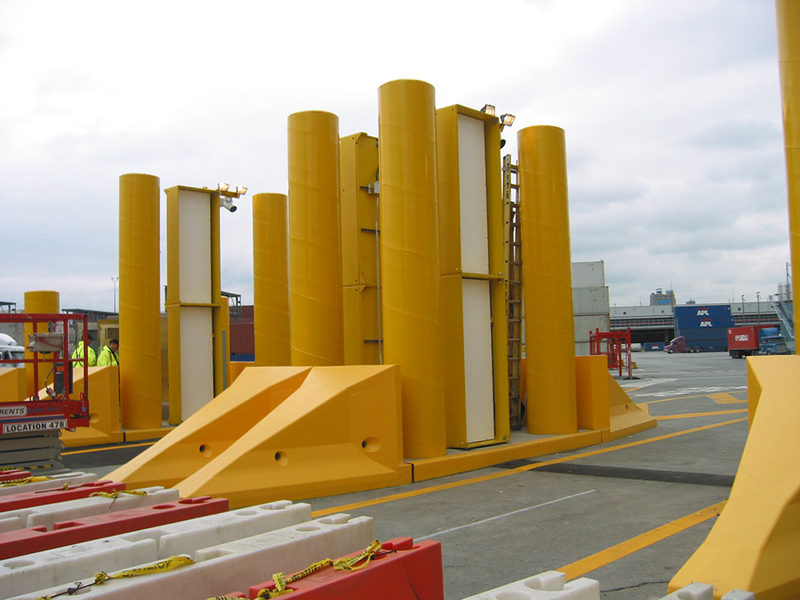 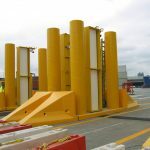 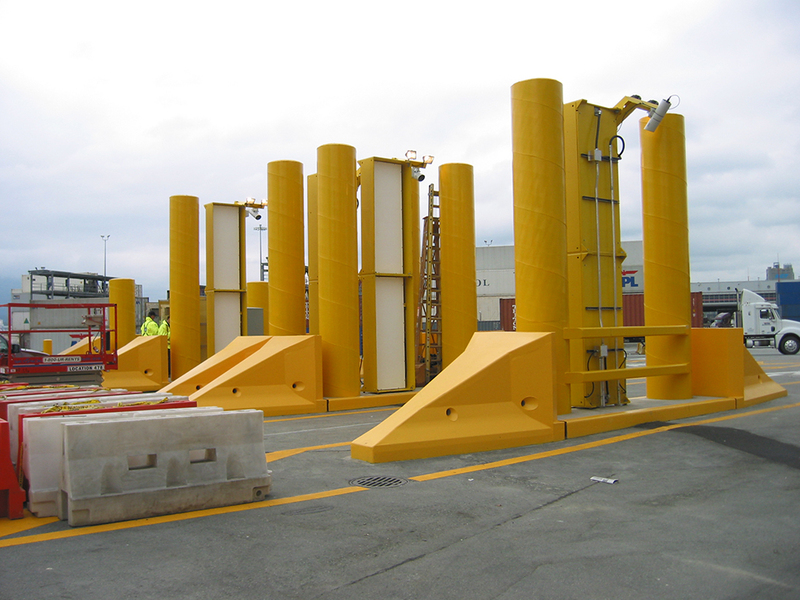 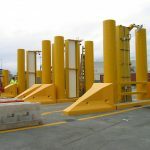 Kingston Construction completed the Centerm Radiation Detection Portals for the Canada Border Security Agency’s North American Security Agreement. 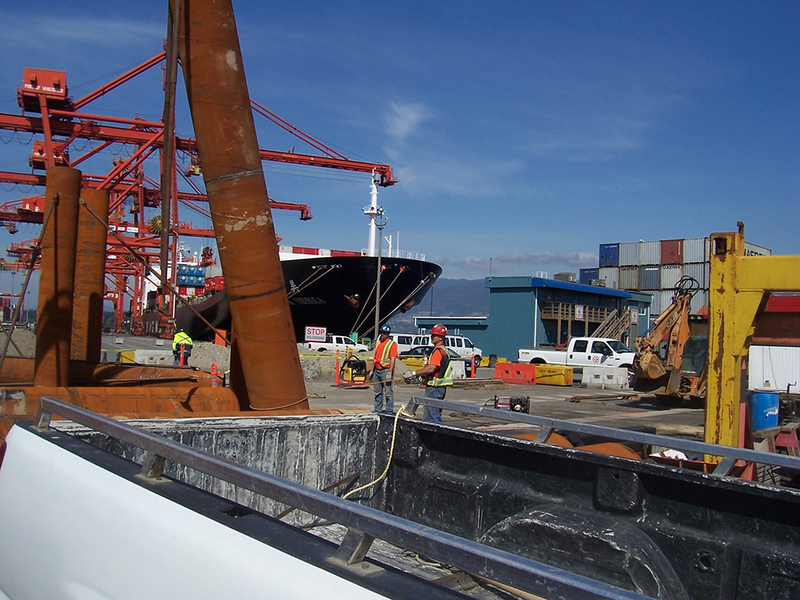 Projects were completed at various container ports throughout British Columbia. 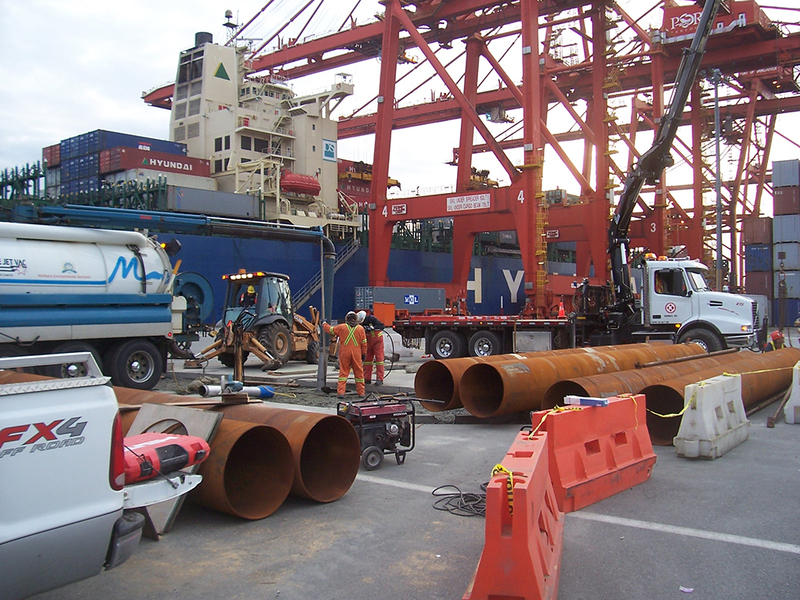 Located in North Vancouver, BC, Neptune Terminals is one of the largest multi-product bulk terminals in North America to handle over 24 million tonnes of bulk products a year. 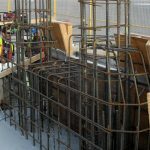 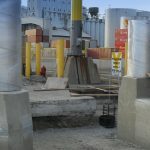 Various rehabilitation projects were conducted in the terminal to improve product handling and Kingston has been involved in several of those improvement projects. 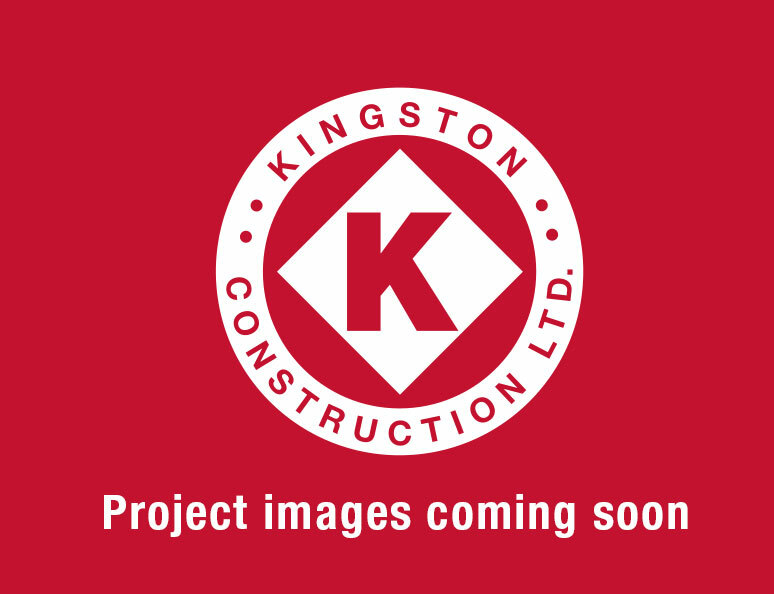 Kingston Construction has performed miscellaneous rehabilitation works in various capacities. 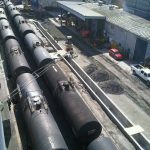 These include concrete repair works, conveyor and coal capacity upgrades. 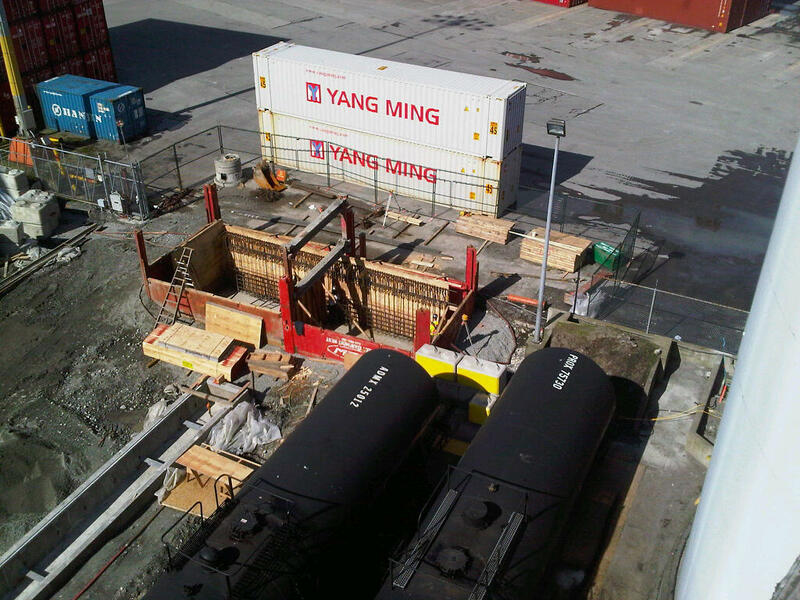 GCT Vanterm, located in Vancouver, BC, is a container terminal that offers six dock gantries with modern container handling equipment and an on-dock intermodal railyard. 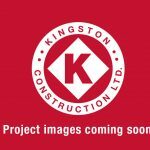 A number of upgrades have been undertaken in the terminal and Kingston was involved in several of the rehabilitation works. 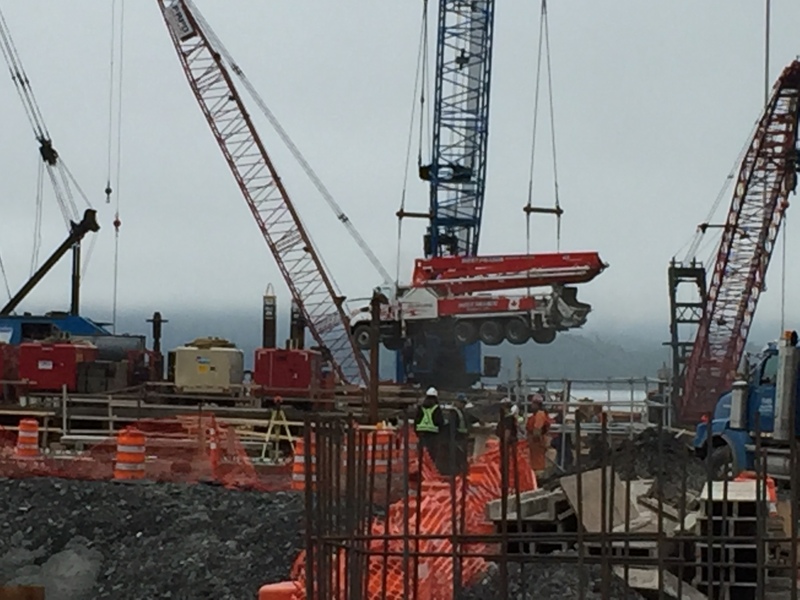 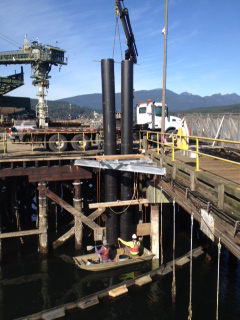 The repair of Berth 6 waterside crane rail was executed by Kingston Construction. 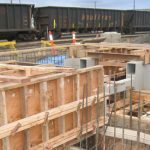 This included excavation along the length of existing rail, removal of concrete and debris and placement of new concrete works and rail. 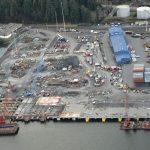 Burrard Thermal Plant is located in the North West area of Port Moody, generating about 900 megawatt of electricity from conventional natural gas-fired generating system. 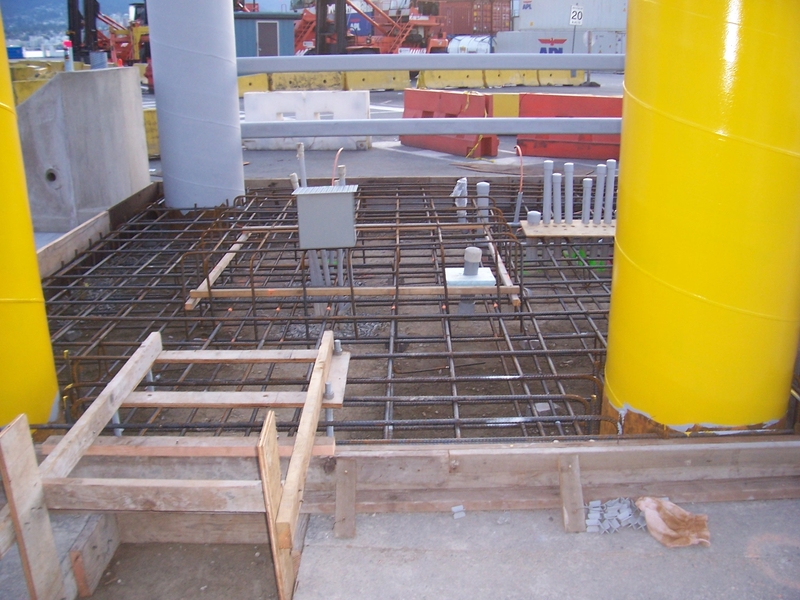 The water line repair for this generating station was conducted by Kingston. 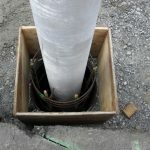 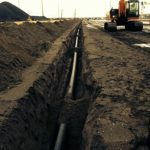 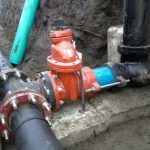 The repair included excavating the water lines and locating the leak points, applying of corrosion wrap and reburying the pipeline. 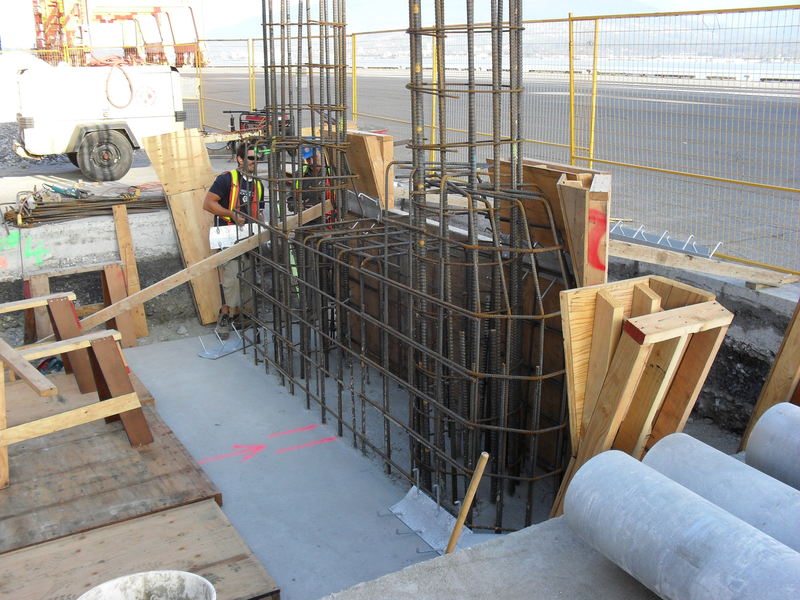 Kingston’s work on the Westcoast Reduction is shown here in these photos. 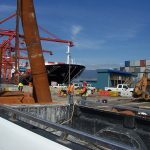 Seaspan’s Vancouver Shipyard Modernization Project is developed to construct the most modern facility in North America to establish a ship building and ship repair centre. 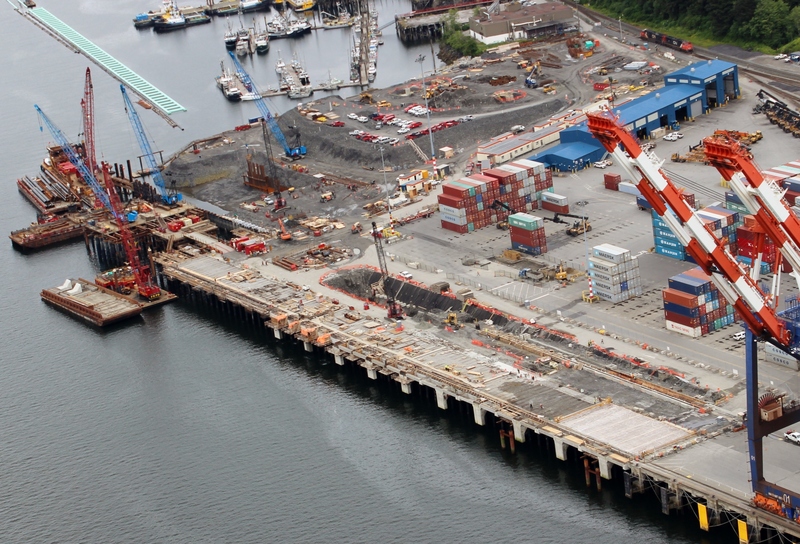 The infrastructure construction and improvements allow efficient delivery and supply non-combat vessels to the Canadian Navy as well as new ships for the Canadian Coast Guard. 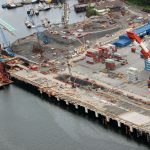 The scope of work included upgrades to all of the shipyards utilities, including sanitary sewer collection and pump stations, domestic and industrial water supply, site drainage, complete process gas underground piping for all ship building requirements and underground power supply, communication and security ductwork. 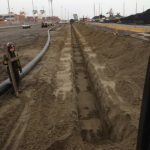 Additionally, over 24,000 cubic meters of foundation excavation has been completed, including the over excavation of buried wood waste and contaminates. 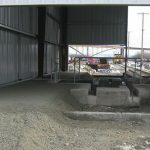 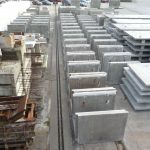 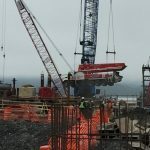 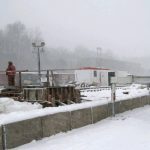 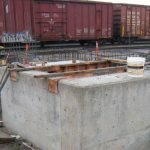 Structural concrete foundation work for numerous fabrication and maintenance buildings has been completed, as well as the foundations and rail system for the shipyards new 300 ton overhead crane. 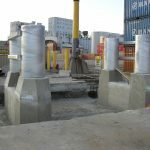 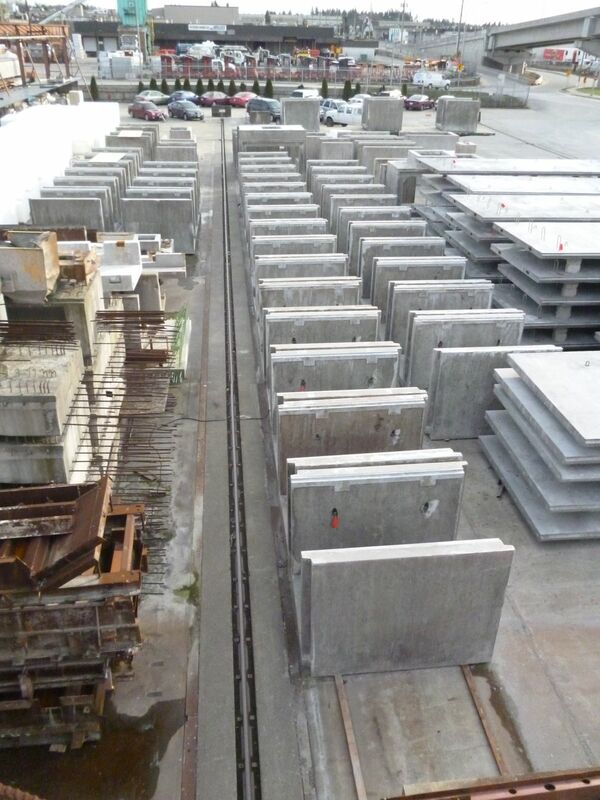 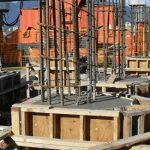 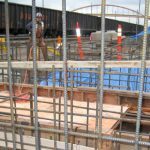 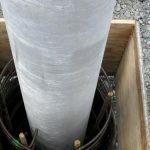 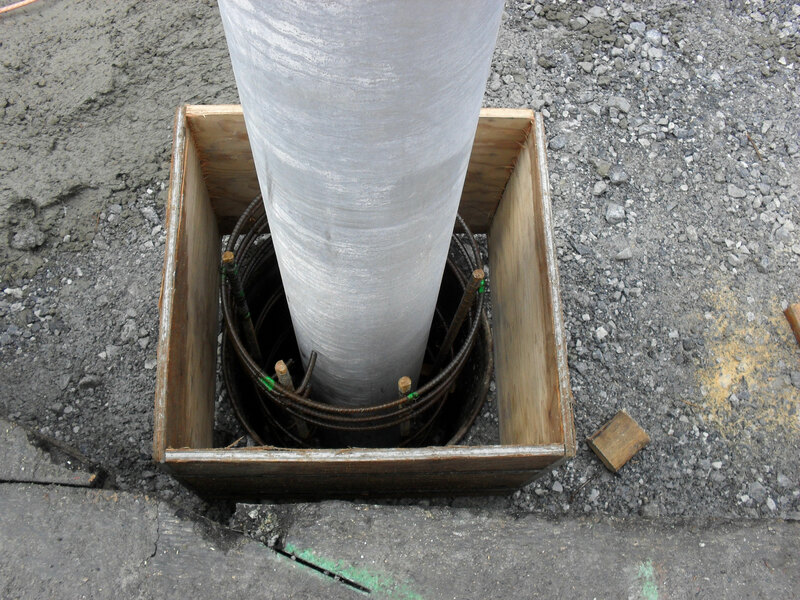 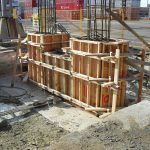 In total over 19,000 cubic meters of concrete has been poured with over 2,000,000kg of reinforcing. 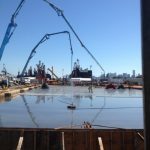 All of this work has been undertaken without disruption to the shipyard`s ongoing shipbuilding and marine maintenance activities. 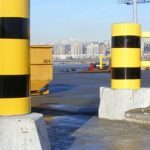 Flexible scheduling and ongoing coordination was provided by GIG`s staff to ensure the clients operation remained unaffected. 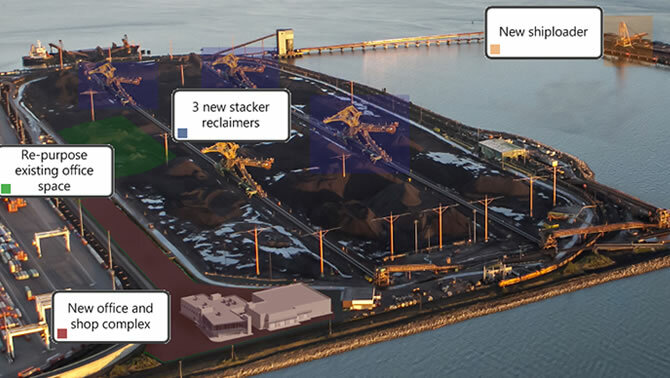 Westshore Terminals is the metro Vancouver’s dedicated coal terminal to export coal in all of North America. 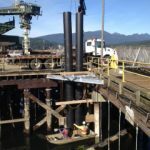 Located at Roberts Bank, Delta, BC, Kingston has been working with Westshore Terminals in various capacities since 2011 to upgrade their site. 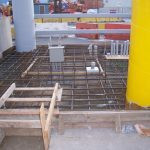 The major works done by Kingston in the Terminal include installation of piles and construction of reinforced concrete foundation for Dumper position beams; demolition of existing concrete and installation of new sill beams for the dumper; installation of 12 yards of self levelling concrete; rehabilitation of conveyor foundations that included removal of existing supports and construction of ½ mile long slab below existing conveyors, and structural supports around the clock work for crews to reduce facility downtime; construction of concrete foundations for generator and transformers; and replacement of underground utilities for HDPE piping. 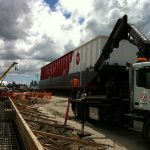 Kingston Construction completed this drop table building and rail diversion project for CN maintenance located in Surrey, BC. 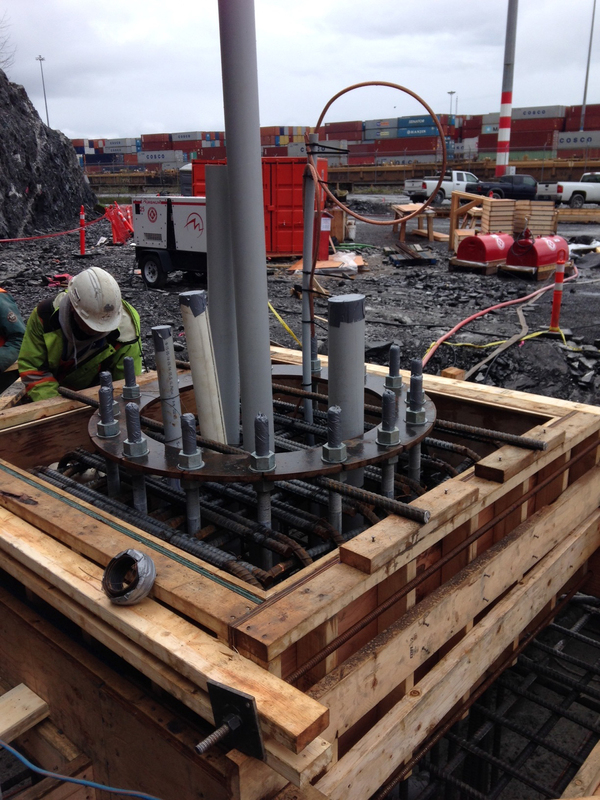 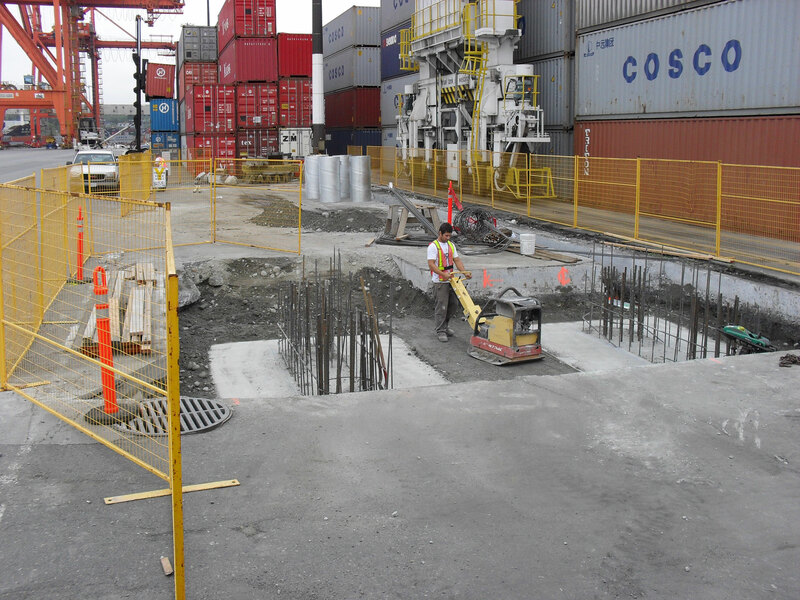 Kingston Construction has worked with Canada Border & Security Agency for the installation of equipment that detects radiation at BC’s container ports. 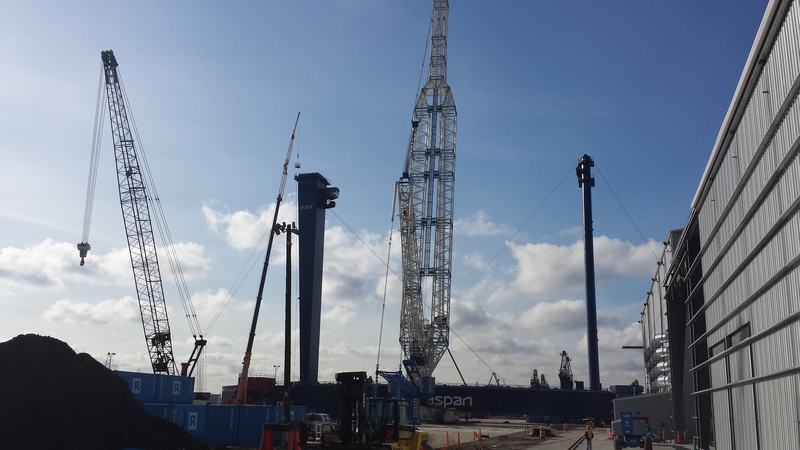 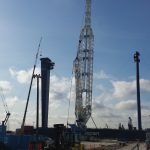 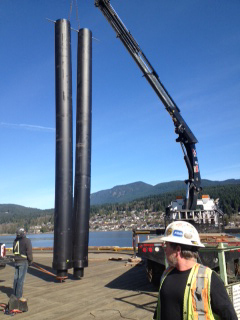 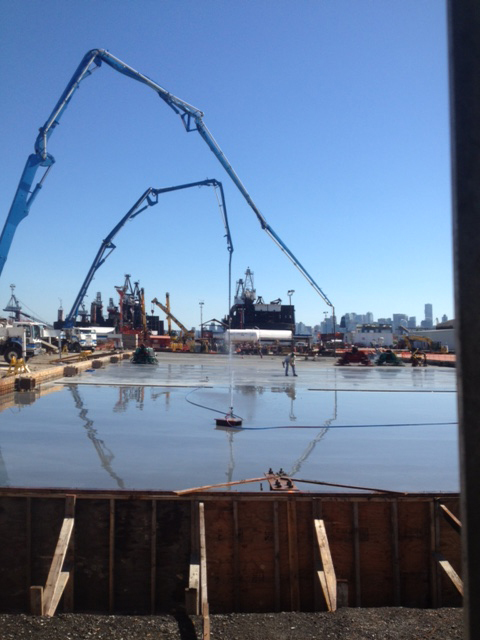 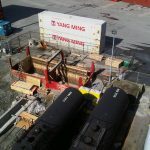 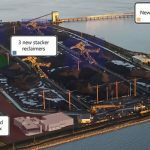 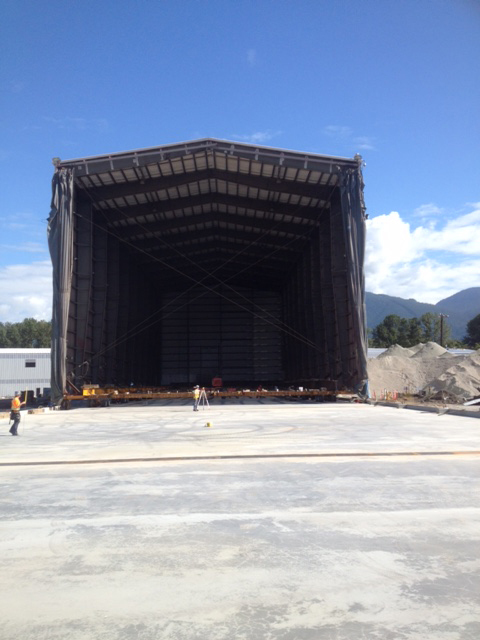 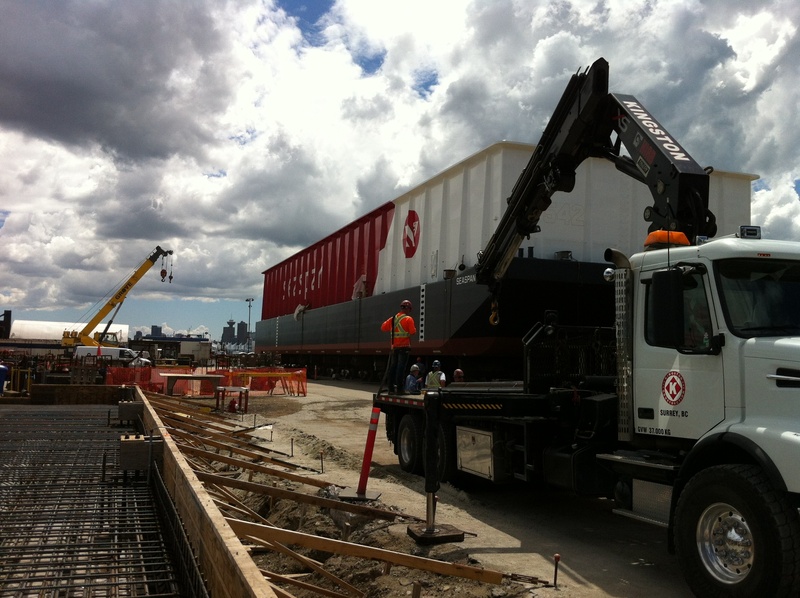 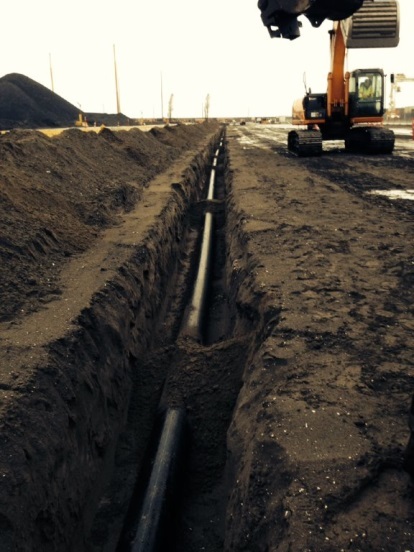 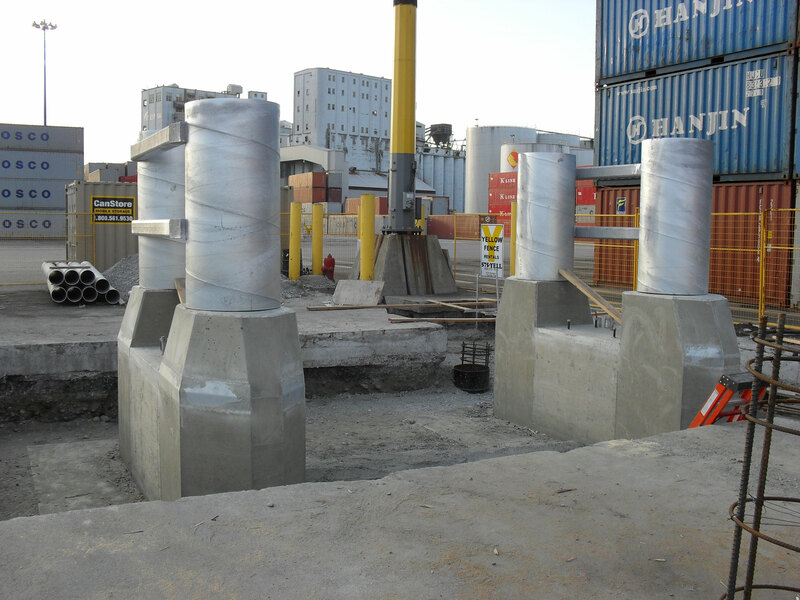 Kingston Construction completed the installations at 4 terminals (Vanterm, Centerm, Surrey Fraser Docks and Delta Port). 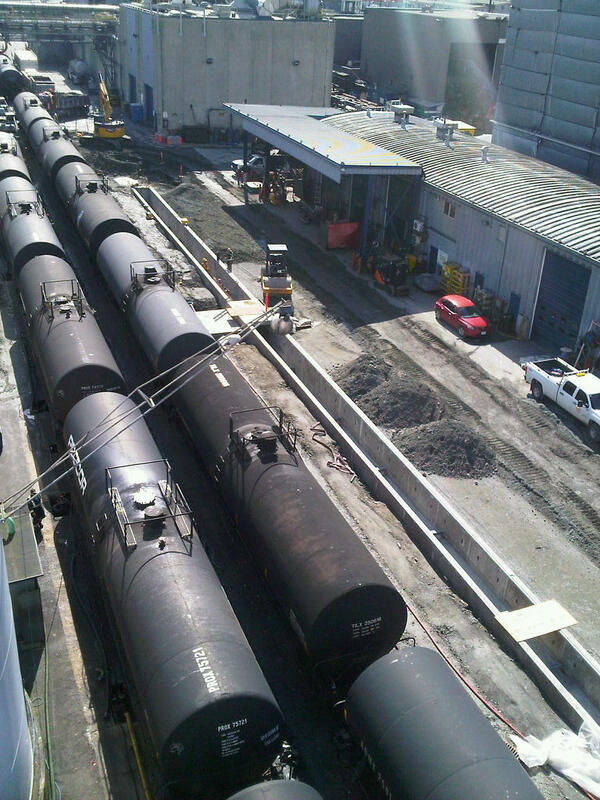 Pacific Coast Terminals planned to develop Canola oil handling facility at the existing terminal. 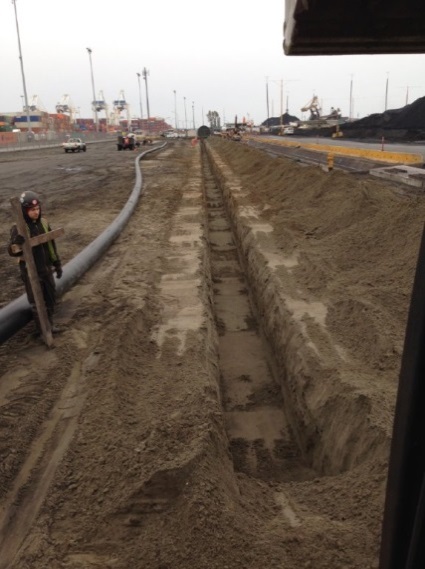 Kingston was involved in the construction of civil works for the canola oil handling facility project. 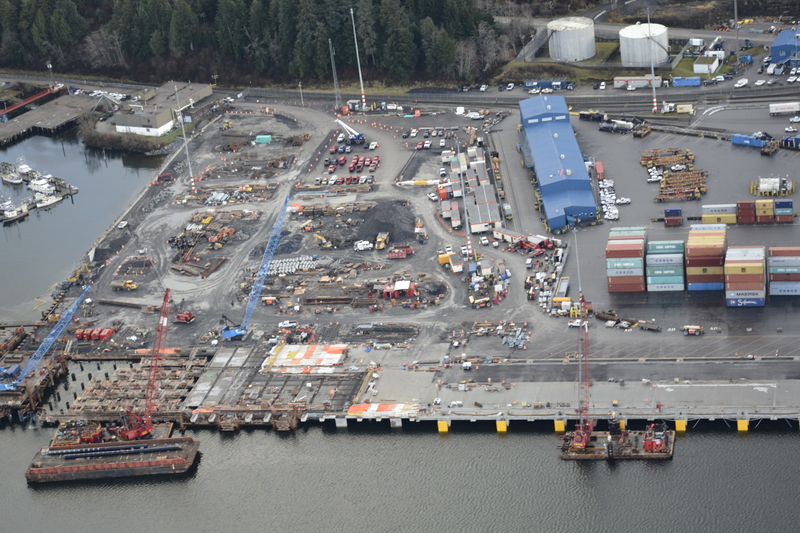 Fairview Container Terminal is located in Prince Rupert and is the intermodal container terminal in North America. 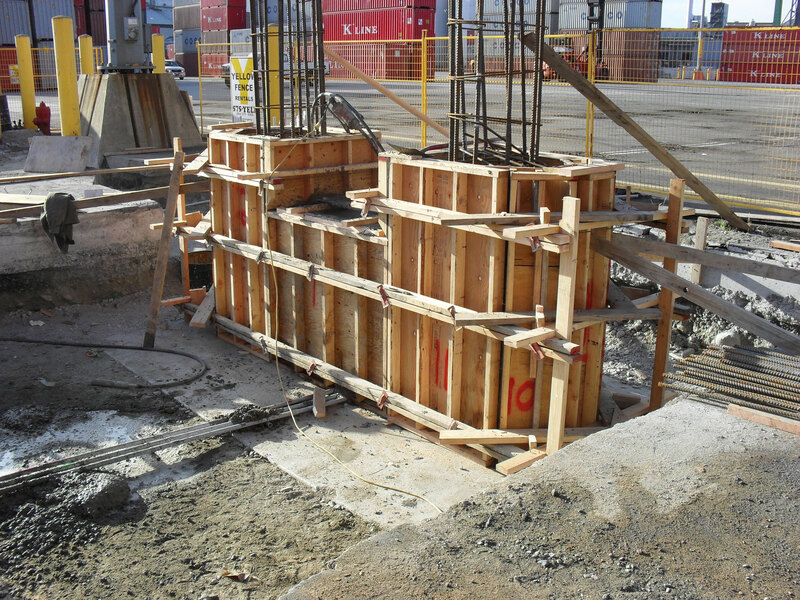 Kingston was involved in several of the concrete works in the development of the terminal. 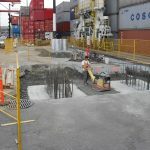 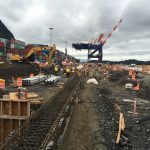 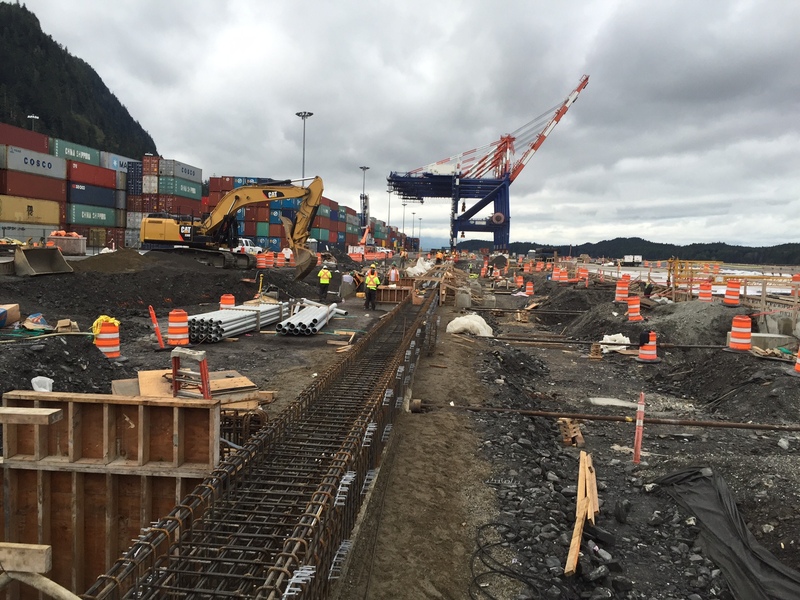 The detailed activities include dredging and construction of a 155 m x 40 m suspended concrete wharf; widening wharf from the existing northern caisson structure; construction the southern apron structure; construction of a container park east of the terminal; upgrade of rail capacity and installation of additional rails and cranes on the new wharf extension.